FotoBella: Design Team Post, Card Tutorial and Trash to Treasure. 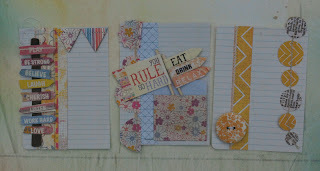 Design Team Post, Card Tutorial and Trash to Treasure. 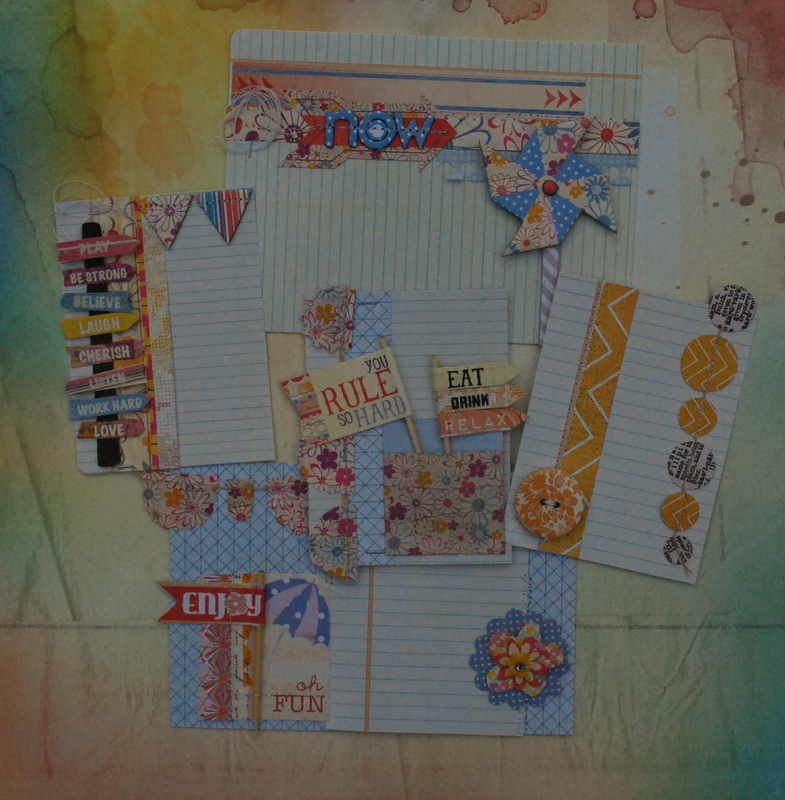 Hi, Lisa back to share with you some designs with the Basic Grey "I Want It All Kit" Soleil. I wanted to give you a step by step on creating a simple card and how to use your packaging for something more. 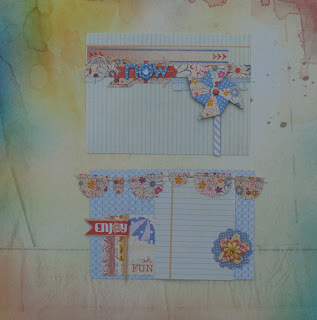 This fast and easy card uses the patterned paper designs to make creating easy! 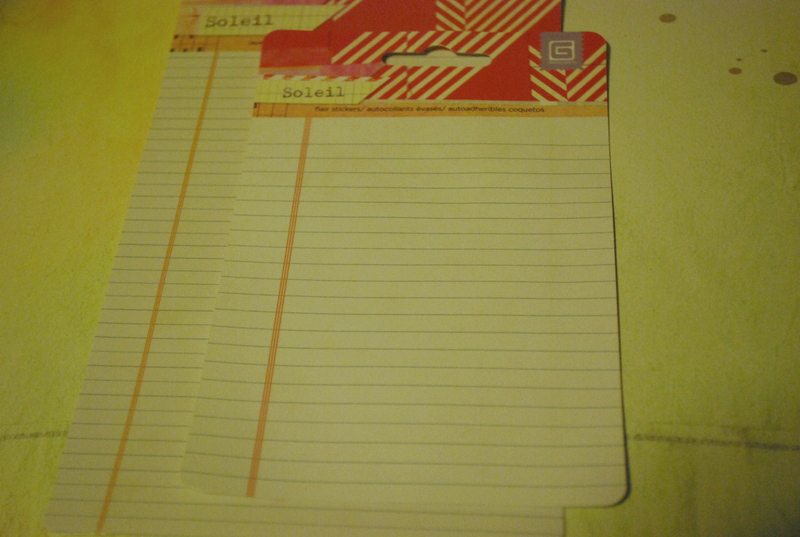 The base of this card uses the "Bikini" patterned paper. 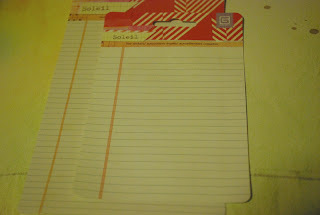 This paper has a pretty stripe that is broken up a few time to create a "layered" look. You can use that to create dimension quickly and easily and use it as starting point for your own design. You will first need to carefully cut along the center line with your scissors or with a paper trimmer, as shown. 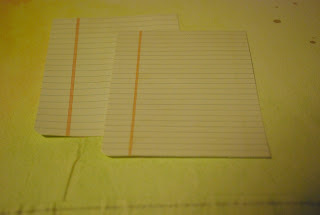 Next, simple fold in half and gently crease with a bone folder, if desired. The next step is to add a strip of any pattern you choose down the center of your card, carefully lining up with strip in the center. This is optional. 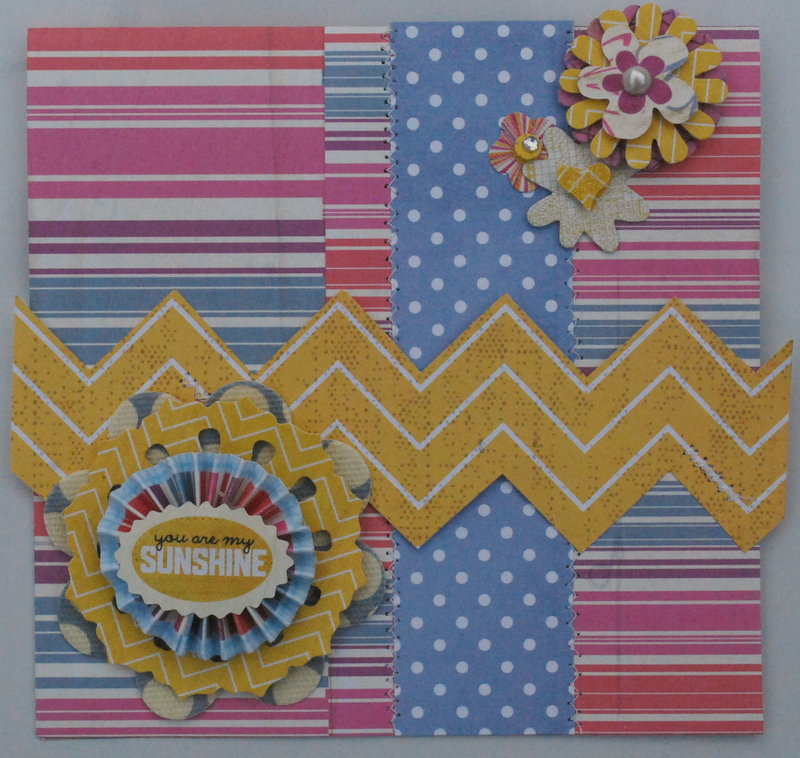 I took the "Yellow Umbrella" patterned paper with the pretty chevron pattern and used that to ad a "pop" of color to my design. 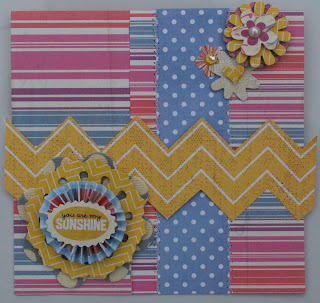 I cut out the pattern along the chevron before adding it onto the design as shown below. Lastly, I removed the ribbon tails from the ribbon sticker and layered it onto a petal piece instead. I added a few more flowers in the top corner to balance the look of the card. I also would like to share with you how you can take your packaging to create some cute Project Life Cards. This fun cards are going to be used for my summer project life pages. I love having a few cards all made up so when my busy summer weeks come I will just be able to slip my pictures in the protectors, add some journaling and the week will be all documented and done. I noticed the grid designs right away and I could not throw them away! I knew they would be prefect to use for Project Life! 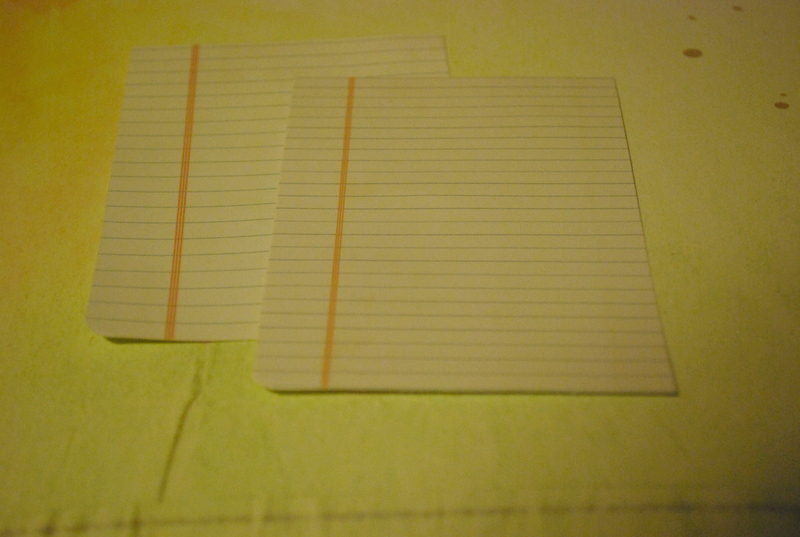 I used my paper trimmer to cut them down to 4x6 or 3x4 cards. Here are the finished 4x6 designs. These cards were so fun and easy to layer and create. I used the leftovers sitting my desk (and that trash) and they came out so cute! Do you use "trash" on your pages or projects? Leave a comment and share your fun ideas for using packaging or throw aways on yous pages.